Want to become an honorary Ardent? Want to help spread the word about Lily and Xander and the crazy world they live in? 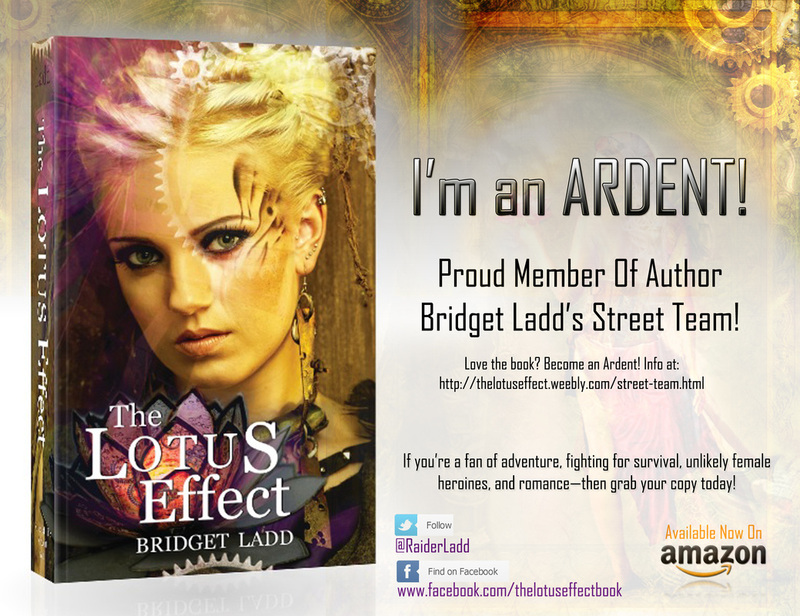 If you are a fan of The Lotus Effect then I’d love for you to join my street team! A street team is comprised of fans of The Lotus Effect who wish to help get the series off the ground. Whether a member leaves a review on Amazon, Goodreads, Barnes and Noble, tweets or posts about the series on Facebook and Twitter—all help is immensely appreciated and in turn, rewarded. Good Karma always has a way of returning to you in the end! Other than the knowledge that you are indeed an amazing human being, or a real-life superhero in disguise . . . you’ll also get first dibs on new ARCs (Advance Reader Copies of new releases), first looks at cover art, special street-team only Giveaways and other swag and goodies handed out throughout the year. There’s no obligation, and all that I ask is for you to have fun! Any and all help is greatly appreciated! I’d also like to give a HUGE thanks to my #1 fan Kassandra Jean Varble for setting all of this up! Feel free to use this Street Team badge on your blog, website, Facebook, Pinterest, or Twitter! Please link back to this page, ( http://thelotuseffect.weebly.com/street-team.html ).